As long-range shooters, we tend to obsess over every little detail. After all, we’re trying to hit relatively small targets that are so far you may not even be able to see them with the naked eye. While you might can get away with minor mistakes and still ring steel at short and medium ranges, as you extend the range those small mistakes or tiny inconsistencies are magnified. So, most things are important … but to differing degrees. There are so many variables that it’s easy to get lost, and most of us end up doing our best to spread our finite energy and resources in every direction. Is there a data-driven approach to help guide us toward the most important factors to increased hits at long-range? Over the past few posts, we’ve used Applied Ballistic’s WEZ (Weapon Employment Zone) analysis tool to gain insight into how much different aspects affect the probability of hitting long-range targets, and how errors and uncertainty cause a bullet to miss a target. The WEZ tool performs a Monte Carlo simulation, which is a good way to model scenarios that have a certain level of uncertainty in the inputs. This is a great model for long-range shooting, because inputs like muzzle velocity or extreme spread of your group can’t be quantified with 100% certainty. Your muzzle velocity might average 3000 fps, but Shot #1 may be 3005, Shot #2 may be 2985, and Shot #3 may be 3010. That averages 3000 fps, but there is still shot-to-shot variation. Monte Carlo simulations essentially play out hundreds or thousands of possible outcomes based on your inputs. The variables in each scenario are randomly populated within the ranges you set and according to a probability distribution. For example, if you gave some input that said your rifle was capable of holding a 0.5 MOA extreme spread, then it might play out one scenario where it drilled the exact point of aim, another where it hit 0.2 MOA high, another where it hit 0.25 MOA low, another that hit 0.12 MOA to the right, etc. Those shots would all still be within a 0.5 MOA group. It does that same thing for each of the variables in every scenario (muzzle velocity, wind call, range estimation, etc. ), then it plays out each scenario, and plots where the shot would land. After it’s ran 1,000 different scenarios, it looks at the results of all of those and calculates your probability of hitting the target based on the variables you entered. Here is a screenshot of this part of the program, and I highlighted some of the key variables you can tweak. So we’ve looked at lot of different aspects that play into getting rounds on target at long-range, like group size, muzzle velocity SD, cartridge selection, and wind reading ability. Some of us may tend to fixate on one of those, while someone else might pour all their energy into a different one. We may not realize it, but we may be overdeveloping one muscle, and could end up looking a little funny. My goal is to become a well-rounded shooter, without any glaring blind-spots like that Crown Vic. That is why I want to take an objective, data-driven approach to see how much time is appropriate to spend on various aspects. Keep in mind, these were ran for specific ballistics and scenarios, and assume centered groups. If you’d like to see more specifics behind each number, you can check out the full post for each of them (links at bottom of this post). So, back to the question we started with: If we have a limited amount of time and money, where would we get the biggest return on investment? There are lots of things I could focus on (more precise rifle, more consistent handloads, more practice/training, etc. ), but where should I spend my time and money to get the biggest improvement in the probability of getting a hit at long range? The answer could vary for each of us, based on where we’re at. If your rifle can’t hold 2 MOA groups … you might start there. If you don’t have a laser rangefinder and are trying to mil targets to estimate range … you might start there. Of course, if you’re using a 308 Win, and don’t need the down-range energy (i.e. you’re shooting steel or paper targets, not animals or militants) … you also might think about changing to a cartridge that offers improved ballistics. There aren’t many guys using 308’s competitively anymore (if the match doesn’t explicitly require it), so most of us aren’t in a position to realize a 27% increase in hits by switching to a different cartridge. Just to be clear, there typically isn’t a measurable improvement when changing from a 260 to the flashy new 6mm Creedmoor, or from the good ole’ 243 Win to a 6XC or 6×47 Lapua. If you’re using one of those popular 6mm or 6.5mm cartridges (like what the pro’s use), you’re unlikely to find a cartridge that offers much improvement over what you already have. That is unless you’re willing compromise significant barrel life and increased recoil with something like the 26 Nosler, 7mm RUM, etc. I just mention that so that we don’t over-correct on the importance of cartridge selection and give it more priority than it should have. Going from the 308 Win to 6.5 Creedmoor is a major change in ballistics, but choosing between similar cartridges hits the point of diminishing returns quickly. Accurate ranging can easily be overlooked, or at least it’s easy to rush the process in the field as we engage long-range targets. It’s easy to accidentally range a rock 10 yards in front of the target, or the tree line that is 25 yards behind the target. It’s important to have a solid rest and good “trigger control” when ranging. You are trying to pinpoint a spot, just like when you are sending a bullet downrange. If you have time, try to range the target a few times to make sure you get the same number each time. Sometimes it’s easier to range something near the target, and then apply an offset for the difference. These are all things that can only be learned by spending time with your rangefinder. It can be helpful to train and calibrate your ranging ability on known distance targets or alongside a super-accurate set of rangefinders (like those made by Vectronix). Not all rangefinders are created equal! Some models make it easier to pinpoint your target through tighter beam divergence. Some rangefinders are much better at interpreting the results and deciding what you are most likely trying to range. The software making those decisions inside a rangefinder is as important as the hardware. In fact, I know one company upgraded their popular “1000 model” rangefinder to a “1600 model” … and there was no difference in hardware between the two models. The 60% increase in ranging ability (from 1000 yards to 1600 yards) was purely based on improvements to the software that interprets the energy reflected off the target. One benefit of the Vectronix models is they can display more than one distance that it got a reading for, and the shooter can decide which distance represents the intended target. For more info on this, see my post on how rangefinders work or my in-depth rangefinder field test. The other aspects (group size, muzzle velocity SD, incremental increases in muzzle velocity) are clearly secondary to those other factors for long-range targets. In ballistics, drop and wind drift are the primary factors that affect the trajectory of your bullet. Until I have a good understanding of those, it is probably premature to start worrying about Coriolis Effect and spin drift. Those are secondary factors, which only have a minor effect on bullet flight. I’m not saying you should ignore those secondary elements, but a new shooter shouldn’t be thinking about those things the first week. And I’ve heard some shooters tell me they were holding for spin drift at 300 yards. So for some of us, those factors can be blown out of proportion and possibly more distracting than helpful. Bryan Litz tells us “The well informed shooter needs to know about these effects if for no other reason, so he can know when they can be ignored, and in what applications they need to be considered.” It seems to be a similar situation with these secondary factors affecting hit probability. I’m not saying you shouldn’t get the most precise rifle you can afford, or that you’re wasting time meticulously perfecting your loads. To each his own. I still plan to handload for some of my rifles. The key is to look at where your biggest room for improvement lies. Which uncertainty is the leading cause to your misses? Once you identify that, strategically focus and put your energy towards improving that area. Eventually, that aspect will transform from a weakness to a strength, and then you can shift your attention to the next leading factor that is causing your bullet to be off target. Todd Hodnett probably doesn’t need to spend more time perfecting his wind calling ability. He seems to have those primary factors buttoned up pretty tight, and therefore the precision of the rifle/ammo or the consistency of the muzzle velocity may be what he needs to focus on. It all depends on where you’re at on this journey. I’m certainly not there! Hopefully this series gives us a more objective perspective on how all that stuff contributes to the probability of getting a hit at long-range, and where the point of diminishing returns lies for a few of the items we tend to fixate on the most. Here is what this all boils down to for me personally. What if I conducted 2 experiments for how to best use my time? Perfecting Handloads Scenario: I spent a significant amount of time trying to perfect the ideal handloads, but that left me less time practicing at the range. However, I carefully selected the bullet with the highest BC, and best components for every part. In fact, I choose a wildcat like the 6mm Creedmoor, because I plan to handload all my rounds and don’t need a factory ammo option. I was able to meticulously tune the loads in my rifle to an incredible 0.20 MOA 10 shot group … every time. And after neck-turning, sorting brass and bullets, and weighing each charge with a $3,000 Prometheus Gen II scale … I was able to reduce the standard deviation of my muzzle velocities down to a stunning 5 fps over a 10 shot string … every time. Factory Ammo & Practice Scenario: I spent all my free time shooting and no time handloading … but that means I use factory match ammo that isn’t quite as consistent as good handloads. But I went with the Hornady 6.5 Creedmoor 140gr A-Max Factory Match Ammo, so it isn’t bad. It had less consistent muzzle velocities (15 fps SD), and may not group as well because it wasn’t tuned specifically to my rifle (0.4 MOA). It also has a small ballistic handicap because it used bullets that weren’t quite as aerodynamic (i.e. lower BC) compared to the Berger Hybrids, and the muzzle velocity was 50 fps slower than what some handloaders are running. But, now that I’m not handloading … I have a lot more time to practice. Let’s say to start out, my wind calling ability is somewhere between novice and average shooter (maybe not too far from the truth!). The table below shows how Bryan Litz defines a shooter’s skill in estimating the wind. The red dot show where I’m starting today, so we’ll say I have the ability to call the wind within 3.5 mph 95% of the time. I can call it within 1/2 of that 68% of the time. It stands to reason that if I spent all my free time practicing and training in the wind out at the range, I’d be more likely to improve my ability to call the wind. So we’ll assume that in Scenario #2, I was able to improve my wind calling ability so that I’m able to guess just 1 mph closer to what the wind is actually doing. That means I can now call the wind within 2.5 mph certainty 95% of the time (indicated by the green dot below). Once again, I could call it within 1/2 of that 68% of the time. Perfecting Handloads Scenario: Using meticulously crafted 6mm Creedmoor handloads running hot, with a minuscule 5 fps standard deviation in muzzle velocity and tiny 0.20 MOA groups, but my wind calling ability is still just within 3.5 mph of what the wind is actually doing 95% of the time. Factory Ammo & Practice Scenario: Using Hornady 6.5 Creedmoor factory match ammo that has 15 fps standard deviation in muzzle velocity, and is only able to group 0.40 MOA … but because I had more time to practice I was able to improve my wind calling ability by just 1 mph. I can now call the wind within 2.5 mph of what the wind is actually doing 95% of the time. Those are significant differences, even though we had stacked the deck against the 6.5 Creedmoor: less precision, worse SD, lower ballistic coefficient, slower muzzle velocity, etc. It just goes to show that improvements in wind calling ability can easily outweigh all those other factors we pour so much energy into. A relatively small improvement in wind calling ability clearly trumps incremental improvements to ballistics and precision. Perfecting the ammo and rifle just can’t compare to improving the nut behind the gun! A friend told me about some cyclist he knows (some sport Europeans do) who has spent thousands of dollars to reduce the weight of his bike by just a couple ounces … but he never considered dropping a few pounds from his midsection. Its human nature to focus our energy on controlling external elements, rather than focus on improvements that can yield bigger results, but require us to change. And guess what, if you improve that same scenario by just 1/2 mph more (wind confidence reduced to +/-2 mph) your percentage jumps another 10% to 81%! Get it down to +/-1 mph, and you’re up to 97.3%!!! That point of diminishing returns doesn’t set in as quickly when it comes to improvements in wind calling ability. Virtually any time spent working to improve your wind calling ability seems to be time well spent. So When Does It Matter? We’ve been looking at very specific scenarios: 10″ circle at 700 yards and a 20″ circle at 1000 yards. I thought those represented the most common long-range targets I’ve seen at several different tactical competitions. That is a 1.36 MOA target at 700 yards, and a 1.91 MOA target at 1000 yards. While there may be one or two targets at a competition that are sub-MOA, I’d wager most are 1-2 MOA targets. Having designed long-range courses myself, I probably pay attention to stuff like that more than most. But, lots of readers have asked what happens when the target shrinks. … Well, first the overall hit probability goes down. Sub-MOA targets at distance are TOUGH! Everything has to be perfect to hit those targets. Wind continues to be the primary source of uncertainty, but the other factors start to cause you to be off target as well. You can’t ignore any of them without consequences. Shot distributions for an 8″ target at 1000 yards are illustrated below, which is a 0.76 MOA target. The horizontal dispersion is wider on both targets, hinting that the wind is still the primary source of misses … but on the target on the left, you have a considerable amount of misses due to vertical dispersion as well. So improving cartridge, group spread, and SD can all increase your odds on those small targets. Note that even with extreme tolerances of the handload scenario, like 5 fps standard deviation of muzzle velocity, elite wind calling ability, outstanding range confidence, and 0.25 MOA precision … you’re still more likely to miss the target than you are to hit it. A sub-MOA target at distance is just a low percentage shot, especially if you’re talking about a first round hit. 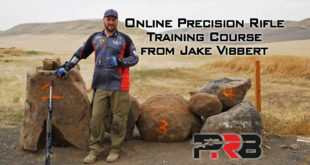 These factors can also matter if you are shooting F-Class or other competitions where your scores are based on how centered your shot is on the paper target. In the simulation below, I tried to provide some context for what the odds were for hits in the different rings. The X-ring on the 1000 yard F-Class target has a diameter of 5 inches … that is tiny! So this is similar to the tiny targets above. When you’re shooting sub-MOA targets that are far away, you want every advantage you can get. But … wind is still your biggest source of misses, so it pays to improve your wind calling ability in all of these scenarios. Both of those scenarios were calculated with a +/- 2 mph wind confidence. That means you call the wind within 1 mph of what it is actually doing 68% of the time, and within 2 mph 95% of the time. So, both scenarios assume you already have elite wind calling ability. If you weren’t able to call the wind that well, your odds drop quickly. If you are a hunter, tactical competitor, or in the military, usually your goal is to simply hit within a defined area on the first shot. As a tactical competitor, if I ring an 8″ steel target at 600 yards … it’s a point, whether that was an edge hit or I center punched it. As a hunter, I know the typical whitetail buck has a vital zone that is around 10″, and if I place my bullet in that area, it results in a clean kill … regardless of whether I hit the exact hair I was aiming for. 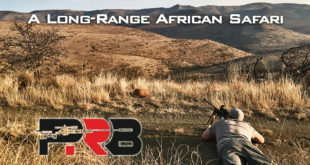 But if you’re one of the guys who are really pushing the envelope and shooting sub-MOA targets, you probably already know … you need any advantage you can get, because that is already such a low percentage shot at distance. There is virtually no room for error, and all the uncertainties must be minimized to the extent possible. However, a wise shooter would still have a strategic approach to improvement by systematically focusing on the aspect that is the primary cause of their misses. I hope this brought some clarity to a topic that has been fuzzy for so long. The Applied Ballistics WEZ tool really brings an objective priority to the factors that play into getting hits at long-range. While this may seem like a lot of theory, science, and math … it has real-world application, and can help us become better shooters, make informed decisions, and get more rounds on target. 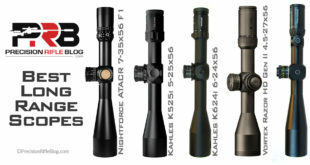 If you want to dig more into this subject or explore some of these elements for your specific rifle, ammo, and ballistics, I’d encourage you to buy the Applied Ballistics Analytics Package to run these kinds of analysis yourself. There is nothing like changing the inputs ad-hoc, and instantly seeing what the result would be at long-range. This is also what Bryan’s Accuracy and Precision book is all about, so if you found this series helpful, I can guarantee you’d love that book. 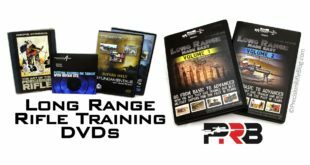 It dives deeper into each topic, provides a ton of charts and tables for all kinds of scenarios and target sizes, and gives insight into other aspects of long-range shooting as well. Previous How Much Does Wind Reading Ability Matter? Great job as always, Cal! Thanks for your inspiring work!!! You bet … Just trying to get better! I have a young family with 2 little girls, so I try to be sensitive to how much time I spend on this hobby in this season of life. I just want to know that the time and energy I do spend on it is helping move me forward as a shooter. Hope this was as helpful for others as it was for me! Thanks for another great read lesson….. printed it out as I like to take these to work to read over and over to make sure I didn’t miss anything. Regards from Panhandle Sir !!! Stay Safe and again….thanks. Thanks, C Perry! Glad you found this stuff helpful. 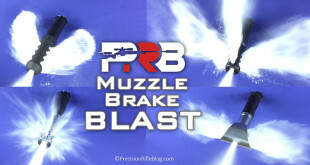 I have a massive muzzle brake test that I am about to start publishing, which has a lot of interesting data in it. So stay tuned! I hope you’ve had a chance to check out Terminator brakes YouTube videos as he has a wonderful testing rig that really makes clear the comparisons of many brakes side by side. Oh, I have! I’ve even talked a lot with the guy who did those, and several others who have similar tests posted on YouTube or published online. That is a really cool setup he came up with. I like the pragmatic, but objective approach. I think I’ve come up with something a little better than that. 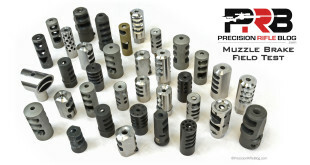 I actually spent more money on the muzzle brake test than I made on the website all of 2014! 8| I bought cases of match grade ammo, and lots of scientific equipment. So I’m way in the red, but I have been thinking about doing this test for over a year, and I went all out. Nothing like it has ever been published. I’m really excited to start publishing the results … so stay tuned! Okay after disagreeing with you in an earlier post on how much group size maters I think I have come around to agreeing with your conclusions. 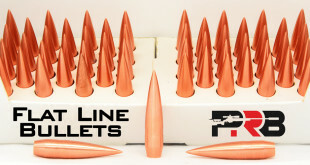 Its gonna cost me in factory ammo but I will get more shooting in. Thanks for all the work you did over this series of subjects. You bet, Jerry. It actually took me a longer than that to come around to these conclusions! 😉 Lots of it goes against my long-held beliefs, and it’s hard for an OCD guy like me to not try to take everything to the Nth degree. Honestly, I’m not trying to convince anyone this is the “right way” … just documenting my journey. Glad you found it helpful as well. I like the new site. Was on it last night and it is well laid out and i enjoyed it. Keep up the good work. look forward to more on the site. Thanks, Elmo! The old format didn’t have a lot of structure to it, so it was hard to find stuff. I saw a discussion on a forum that was talking about how hard it was to find stuff on my website, so I thought it was time to do something about it. The new website has a lot of advanced features that I hope to use moving forward too. Thanks for the encouragement! I have been following your reports very closely and want to congratulate you on a GREAT job by putting all of the facts into perspective.These articles will help thousands of shooters around the world, that is as serious about shooting as I am, to focus their energy where it matters most. So often guys spend thousands of dollars and time away from their loved ones and not achieving anything significant. The hard work you have put in has been a breath of fresh air. Every guy serious about shooting wants to be the best and there is just one way forward…..practice. Reading wind reading in my opinion will always be number one. Thanks, Vern. I’m with you! I have a young family with 2 little girls at home, so I’m trying to limit how much time I allow this hobby to consume in this season of life. Everyone is at different places in life, but I want to know that the precious time I do get to spend on my precision rifle hobby is put towards the things that have the best odds of moving me forward. This is just documenting my journey to figure out what that is. I hope it can help other people. Thanks! Gives clarity to what I was thinking. Another fantastic write-up that reaffirms my belief that there is no substitute for practice. I don’t spend nearly enough time behind my rifle, and this just makes me want to get out and shoot. For such a math/physics based hobby, we really lack a data-driven approach as a community. I appreciate *so much* what you are doing. And I agree about the absence or at least low volume of data-driven information in the precision rifle world. That is why I started the website. I wasn’t okay with the gaping hole in that area, and was moved to try to do what I could to help. 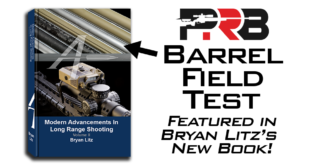 There are a few guys like Bryan and the rest of the crew at Applied Ballistics, and a few other writers that are trying to get good information out there to the shooting community. But, this industry is still largely governed by strong opinions and old wives tales. Most industries mature beyond that at some point. For example, camera lens manufacturers actually publish MTF charts, which “is a measurement of the optical performance potential of a lens. MTF charts can give you a better understanding of the optical quality of various NIKKOR lenses, and can be useful references when researching, comparing and purchasing a lens.” (Source: Nikon). 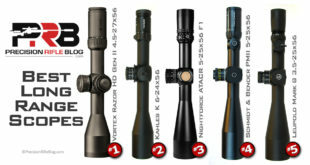 Why don’t scope manufacturers provide that kind of objective data to make it easier for us to compare the glass on different models? We just haven’t matured to that point as an industry yet, but I feel a change coming … at least I hope it’s coming. It just takes one or two manufacturers breaking rank in the name of transparency with their customers, or a few more people like me trying to publish 100% objective performance-based comparisons, and I think a revolution will start that will move the whole industry forward. Sorry … kind of got on a soap box there. I can get pretty passionate about this stuff. I really do feel like a more data-driven approach would help our industry move forward in a radical way. It may be a slow change, but I’m hopeful. I do appreciate the feedback and encouragement. It’s good to know there are others out there that believe in that approach. I’m glad you’re finding this stuff helpful. Hello, is it really necessary Prometheus Gen II in order to achieve consistent speeds. No, Hernado. It’s not. To be able to get down to something like 5 fps SD’s, you will need something better than a RCBS Chargemaster. Don’t get me wrong, I love my Chargemaster … but it isn’t precise enough to achieve that kind of consistency. The only guys I know that have been able to produce SD’s in that 5 fps range or less are using powder scales that cost $1,000 or more. They also do a TON of brass prep. I know some of them also sort bullets by weight and bearing surface, then trim the meplat and point the bullets for even more consistency (and to also increase the BC). I won’t claim to be an expert on what you do or don’t have to do to get there … I just know I haven’t been able to do it and as you can probably tell by this website, the test I run, and the content I write … I’m more than a little OCD. I just know the shooters I know that have been able to accomplish that are using either a Prometheus or a Sartorius scale with a draft shield. That’s why I’m just trying to put stuff like that in perspective. Is it worth spending $1000 or more to chase after a 5 fps SD? The whole concept of “Is it worth it?” is all relative to what you’re trying to do and the amount of discretionary income you have. So there isn’t a one-size-fits-all “right” answer to that. I’m just trying to provide the data to help people make more informed decisions. Cal, I love the analysis you do because of my Engineering education. I started to follow your work when you did the big scope analysis. I noticed that there have been some scope changes (for example TT released it’s 56) and I’m wondering if you have analyzed them in relation to the big project you did. I’m waiting until the scope developments slow down so I can buy in and hope to avoid some obsolescence. Thanks again for your efforts and keep up the great work. Ah, Dave. I hear you … but I don’t think there will ever be a slow down in scope innovation. If anything, technology seems to be accelerating. I know at least one scope company is working on a model with a 10x zoom ratio. Think about being able to zoom down all the way to 3x, and zooming up all the way to 30x … or down to 4x and up to 40x. That seems crazy, but it’s in the works right now. The tests I’ve been running lately have all been focused on muzzle brakes and suppressors, and I have another field test I’m hoping to do this summer related to barrels, and then one related to complete rifles. That will keep me busy, since I do all this for free in my spare time. Hopefully it will produce some great insight though. Honestly, if it were me … I might take chance on the Tangent Theta, but that is your call. 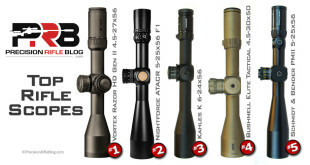 The S&B 5-25×56 is obviously a proven winner, and there are other scopes like the Nightforce BEAST & ATACR FFP, US Optics, Hensholdt, and Kahles that are proven performers in the field. 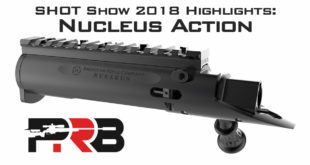 I am getting a 300 Norma Magnum built in the next 12 months, but have a few questions or issues about decisions I need to make about rifle parts. What is your recommendation on the best forum to get some answers or guidance? Or are you not allowed to say? Vern, there are a lot of great forums out there. SnipersHide.com and AccurateShooter.com are probably the two that come to mind at first, but there are several that might be able to steer you in the right direction. I’d also recommend reading this article Todd Hodnett wrote about the 300 Norma. He is an expert among experts in this field, and one of the guys that I have a ton of respect for. Todd built his 300 Norma on a Surgeon action, with an AICS chassis. That is a pretty fail-proof way to go. I’ve never heard someone say they were disappointed after building on those two parts. Please keep up the stellar work! Howdy from Fort Worth… I’m laid up in bed–a little sick after a foul Firehouse Sub. On a better note, I’ve had time to read some of your articles! Similar to you I have a young family and my own business. Me time is precious. Just wanted to say THANK YOU for putting all of this together. It sure is hard to find solid, concise info that cuts through the clutter and trims down the learning curve. Randol, that is one of the biggest compliments I’ve ever heard. That is EXACTLY what I’m trying to do. Cut through the clutter and trim down the learning curve. I appreciate you taking the time to let me know your enjoying the content. Great work as always. This has been an excellent series and has really clarified a lot of issues for me. Thanks for putting in so much time and effort ! You bet, Bob! Glad you found it helpful. Thanks for the info. I don’t normally go on forums, but will give it a go. As for Todd, I know him very well. It’s because of his article I want to get this rifle built back when he first published it in Sniper Magazine. Todd is an incredible talented guy in his field of work. I am even getting the rifle built to his recommendations, but came up with a few issues that I need some clerification on. I will follow your advice on the forums you suggested before making my final desision. Awesome! Best of luck to you. Cal. Great article. Love how you pretty much broken it down to the point that it seems like it should have been obvious from the beginning. Especially how you explained that our focus should be in the three areas, and how we zero in on one, maybe two at max. I have a friend who spends a ton of money, time, and range sessions just trying to find that magical bullet/powder combo, completely throwing out the whole training/practice session, and will only shoot in absolutely perfect conditions. Where as, I focus on training/practical practice, and not so much on perfected hand loads. I want to take what you said and run with it at my next range session, and see if I can incorporate practicing windcalls instead of waiting for perfectly calm no wind days. Again. Thanks for the food for thought. You bet, Chris. I was just trying to share the knowledge I found. It did seem to bring a lot of clarity to a really fuzzy topic. Glad you found it helpful! 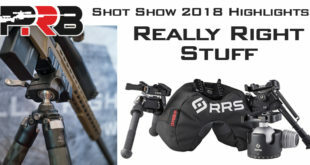 Cal, been reading your website since the scopes review you out up, all the reviews you made are excellent but it’s time you do something for us people who want to get into long range shooting without the hassle of hand loading, for example we want to know what’s the best caliber out there for such long range shooting that can be had off the shelves. .308 is a great proven caliber that you can find great cartridges with great accuracy but it just doesn’t cut it anymore for 600’yards plus especially when wind is added in the game. We went shooting the other day for 2500 yards & I can defiantly tell you that a .50 BMG is just not up to par with the .408 at that range, these are also calipers with readily available ammunition. The question is what is the most accurate off the shelf cartridge for such range, not talking energy but accuracy. Ace from the other side of the world. Hey, Naser. Man, it seems like I’ve touched on match-grade factory ammo options in a few of my posts lately … including this post and the Cost of Handloading vs Factory Match Ammo post. For most of us shooting targets out to 1200 yards, that would probably be the Hornady 140gr A-Max Match Ammo for the 6.5 Creedmoor. I’ve bought 2 cases of it personally for some recent field tests, and found it for $1.14/round both times. That is the same exact price as the Federal Premium ammo for 308 (bought a case of it too). It’s good ammo, and great ammo for the price. That is the reason so many people are moving to that cartridge. 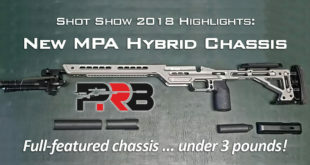 There be more custom precision rifles being chambered in 6.5 Creedmoor this year than any other cartridge. In fact, my next rifle will probably be one … so that I can use that ammo and not have to handload. Beyond that range, things get expensive fast. Applied Ballistics Munitions makes fantastic ammo available for 300 Win Mag and 338 Lapua that I’ve tried. It’s excellent, and would be my first choice. 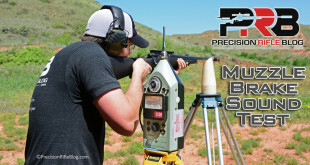 Black Hills also has a stellar reputation for precision rifle ammo, but can be very difficult to find in-stock. So if you find some, I’d suggest laying in a good supply. I’ve never done any super-extended 2500+ yard shooting, so honestly I can’t give much advice. That seems like a specialty field and I’d bet most people handload for it because of the insane price of factory ammo for those rare cartridges, as well as the accuracy demands. Sorry I couldn’t help more! Just enjoying reviewing this quantitative analysis again. What a pleasure to have something more than intuitive experience to base decisions on..kind of like what our country needs i.e. more decisions made with our head instead of our heart. Killing the myths must be exciting. Very cool article, thanks for sharing! An observation about the “Monte Carlo” style analysis that the software runs on wind estimation… it seems to me that this is assuming that every shot is your first shot in those conditions, or that the conditions are variable enough that each shot requires its own completely fresh estimation of the wind speed. That would be what would be required in order to generate the fully random distribution of shot placements. In the real world your wind estimation ability is directly related to the number of shots you’ve taken in those conditions. If I got out with my buddy to bang steel at 1000 yards and we’re firing 10 shots each at a 12″ plate in a steady 12mph cross wind, my first shot might be off but then my second shot and third shot I will have corrected for my wind estimation error and I’ll be on target. In effect my wind “estimation” ability dramatically improves to essentially +/- 0 mph, because it’s no longer wind estimation but rather wind observation. Even if the wind is variable, my estimation will still be improved after I start shooting because I’ll have the feedback from prior shots and I can use that to help judge the variability no matter what my experience level is. Hey, Sheldon. Glad you found this helpful. Yeah, the situation I’m most concerned with is the 1st round hit. Lots of the competitions I shoot in only allow one shot per target, and there are no sighters. If you’re allowed sighters, it seems like anybody could walk the bullet onto the target given enough time and ammo. It’s that first round hit that separates shooters. And I’m also a long-range hunter … and obviously the first round is the one that matters there too. F-class and other competitions are different, and I tried to point that out … but you are right. If you shoot at the same target 20 times, you’re odds on the 1st shot and 20th shot are different. What if all the other stuff is not squared away? Particularly marksmanship. It would be most interesting to test the applicability of this software. Would 100 rounds be enough if chronographed every round, did a detailed recording of the meteorological conditions and then did a statistical analysis of the POIs. Many thanks for your time, energy and expertise. Whatever our shooting “game” we all want to become more proficient in putting ordinance on target and this is the place to come. It accounts for things affecting precision, not accuracy. The book has 2 sections in it, and the 2nd one talks about accuracy. I really just hit on the 1st section in this. It the book it looks like Litz was able to customize a few other things in the software that the commercial version doesn’t allow you to, and most of those are related to accuracy. If you find this stuff interesting, and want to see the effect of that other stuff being off … you should pick up Litz’s book. It speaks to that directly, as well as several of the other points you mentioned. It’s a great resource, and can help put stuff like that in perspective … in an objective way. It really is one of the best books I’ve read on long-range shooting, and it seems like I’ve read a stack of them at this point. It seems to have a lot of practical and applicable stuff in it to me. Thanks for your kind words. I’m glad you appreciate my approach. I put a lot of effort into turning out quality content to help fellow shooters. It’s fun to learn all this stuff, and I’m clearly pretty passionate about it. It’s been a fun ride! Purchased “Accuracy and Precision for …” Looking forward to studying. Contemplating this stuff is all for intellectual curiosity. Even if goal if simply to hit the target somewhere both accuracy and precision are required although some trade-off between accuracy and precision is possible. In the limiting worst case scenarios a group can be extremely accurate but so imprecise as to not hit the target or be extremely precision but so inaccurate as to not hit the target. Perhaps accuracy in long range precision shooting is a second or lower order effect, essentially unimportant compared to precision. Then your analysis is spot on by quantifying the important elements degrading precision if the Applied Ballistics software, especially the wind effect, is a valid model for quantifying imprecision. Experimental verification would be comforting. I bet you love the book. The biggest benefit to me is putting all the different factors into perspective. It’s easy to get so focused on one thing that you completely ignore another factor that might even be more important. This helps you have an objective and balanced approach. I actually don’t think you can ignore accuracy or precision. The book will help you understand what I mean at a deeper level for sure. I focused on precision, because that is all I had the ability to do objective analysis on. In the book, Litz is able to objectively analyze accuracy as well. The commercial version of the WEZ analysis tool just doesn’t give you the inputs necessary to specific things like off-centered groups, but he covers that in the book. You should go out and try the experimental verification. You could totally do that. I don’t have the time, nor the desire. It seems to fit my experience really well. At the end of the day, I want a super-precise rifle and the best accuracy I can get. The question is where do you spend your time to get there? How hard should you chase different aspects? This gives you an objective answer to that when it comes to precision. And Litz provides an objective answer to that when it comes to accuracy in his book. So it sounds like you’re set! I bet you learn a lot. I know I did. I am enjoying reading your articles. I do have a critique however of most authors that speak about Standard Deviation. The chronometers that are commercially available advertise their accuracy at either .25% or .5% in both cases plus or minus. .25% of 1000 fps is 2.5 FPS so since it is plus or minus at 1000 fps the built in error at 1000 is 5 fps and at 3000 fps around which most bullets travel that would be 15 fps error for .25% and 30 fps error at .5%. My question therefore is how can you measure a standard deviation in single digits if there is a built in error of either 15 or 30 fps on your chronometer. I think that measuring your velocity and knowing what the SD is of the measurements is is good background information, however it just gives you a close idea of how fast your bullets travel for your given load and can give you an approximate difference for lower or hotter loads. Frank, I definitely hear you. Most commercially available chronographs I’ve seen don’t even advertise a precision of 0.25 or 0.5%. It is usually 1-3%. So if you’re using one of those, it’s like you’re trying to use a tape measure that only had feet marked on it to measure something that 2″ long. It just can’t do it. LabRadar – This is a brand new product, and I’ve only had mine a couple weeks … but its amazing. It tracks the bullet using Doppler radar, and takes several measurements out to 80-90 yards. It has an accuracy of 0.1%, which is 3 fps for a 3000 fps projectile. The creator actually said it typically does much better than that, but he was hesitant to advertise that. Bryan tested a ton of chronographs in his latest book, and it is a really cool study. I think you should buy it, so I won’t share all the results … but the Oehler 35p had an average error of 2.7 fps and the Magneto Speed had an average error of 1.8 fps. He didn’t test the LabRadar, because it was just released a few months ago. So, if you’re using one of those chronographs … you certainly can measure your SD down into the single digits. If you’re using a consumer-grade chronograph other than those … you likely don’t have the resolution you think you do. I’d like to see the comparison of BC (ie 140 hybrid, 140 amax, 139 scenar) and the hit probability with a fixed velocity. Thanks for all your efforts! That’s a great idea, Sam. I may try to do that at some point. If you really want to know, you could probably buy the software and try it yourself. That’s exactly the type of thing it’s designed to help with. I have a few projects in the works, so I won’t have time to do it for a while. I do really like the idea. That’s one of those things that a lot of us put a ton of weight on, but it would be interesting to see what kind of impact it actually has at long-range. Thanks for the suggestions!